Ingredients: 2 cups Rava (Samolina), 1 cup Maida, 1 small onion, 1-2 Green chillies, A small bunch of Coriander Leaves, Salt to Taste, Oil. Method: Fry green chillies for a minute and then grind all the above ingredients adding water as necessary to a paste. Add salt to taste. 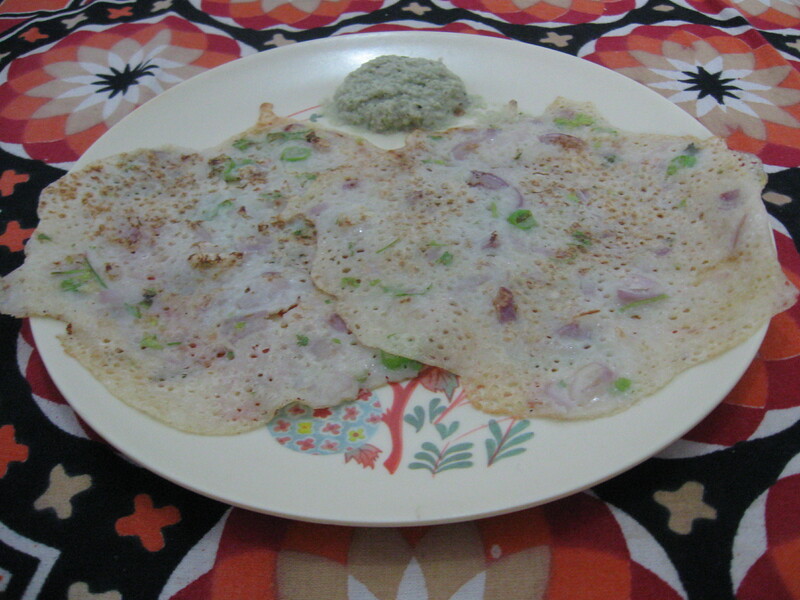 Chutney is ready to serve with dosa. Next postAre We Alone? Are UFOs real?